This week I came to school to find a large flat screen TV had been installed in the front entranceway at school. 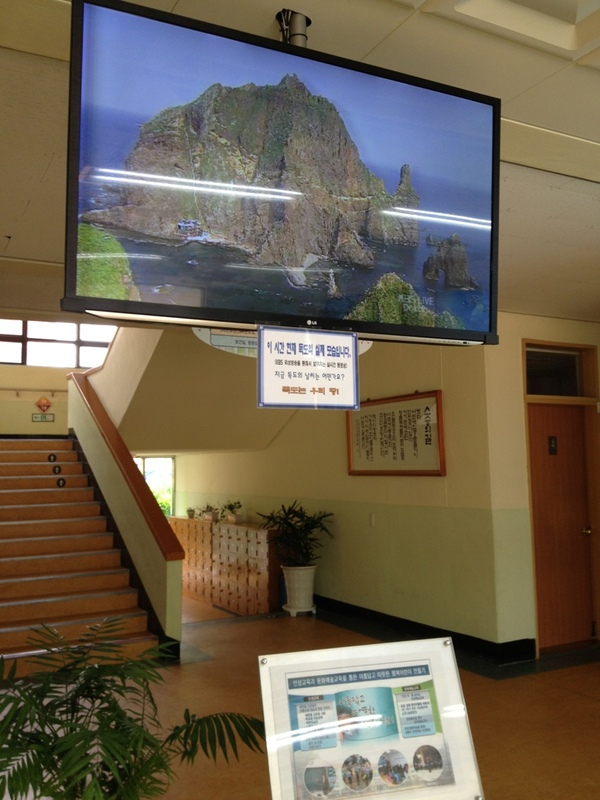 Now there’s a live stream of Dokdo Island to greet the students every day. Dokdo is an island that Korea and Japan have a famous feud over. This entry was posted in A year in photos, Teaching English in Korea by Meagan & Dave | HappilyEverExpat.com. Bookmark the permalink.